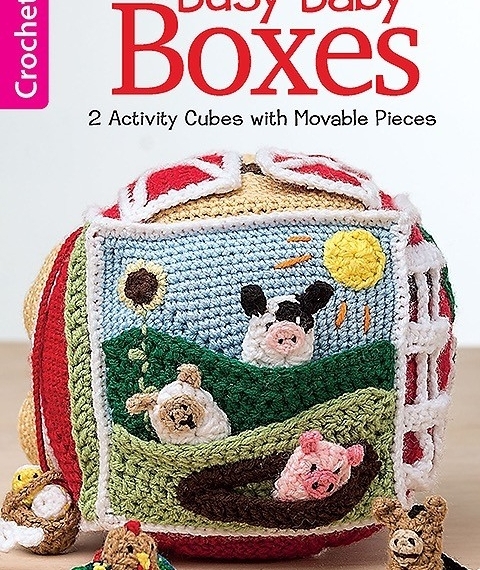 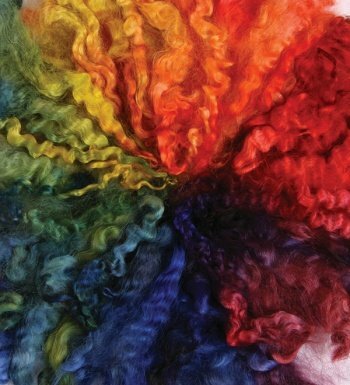 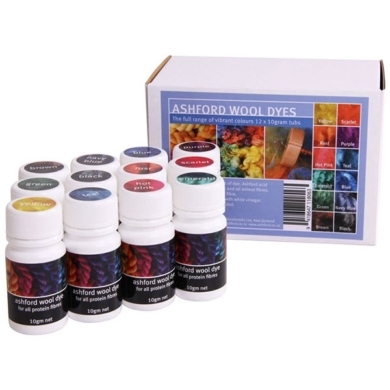 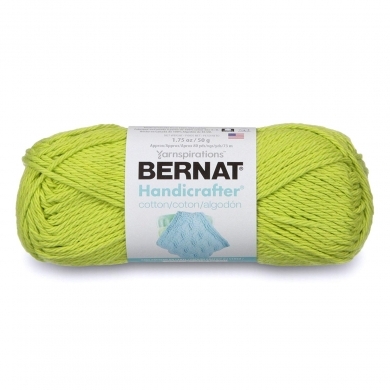 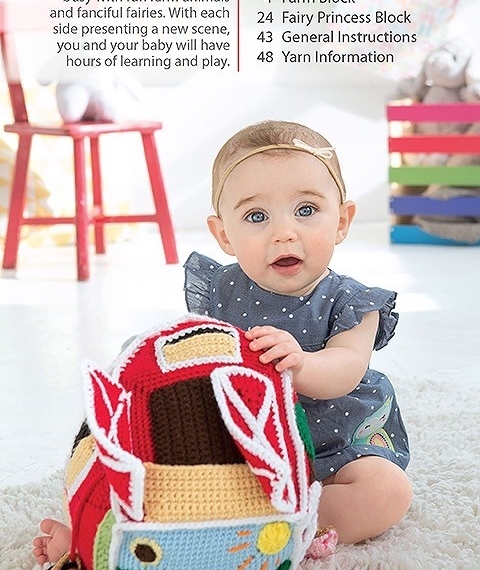 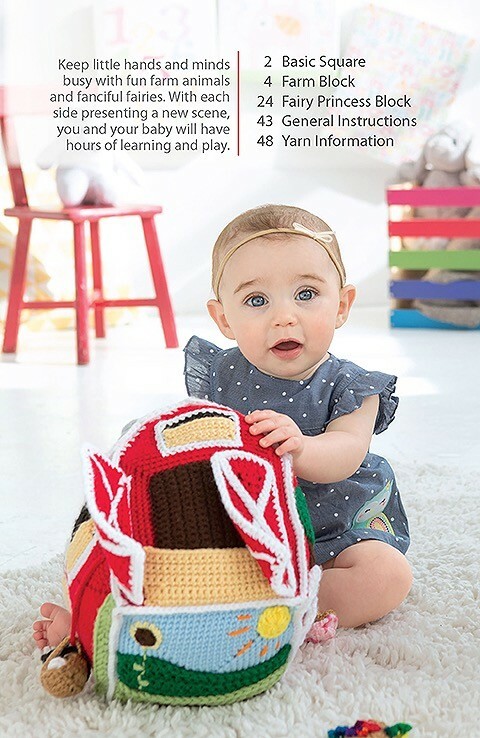 Stimulate curious young minds with the soft crochet activity toys in Busy Baby Boxes from Leisure Arts. 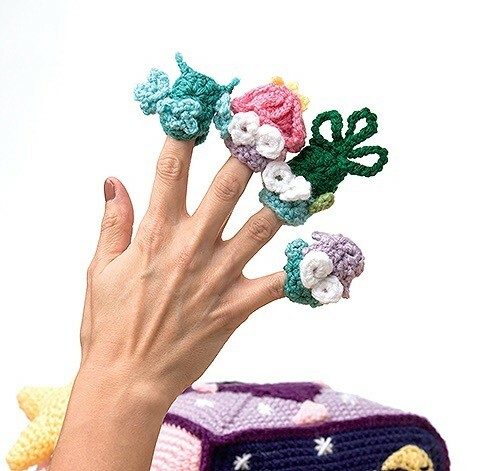 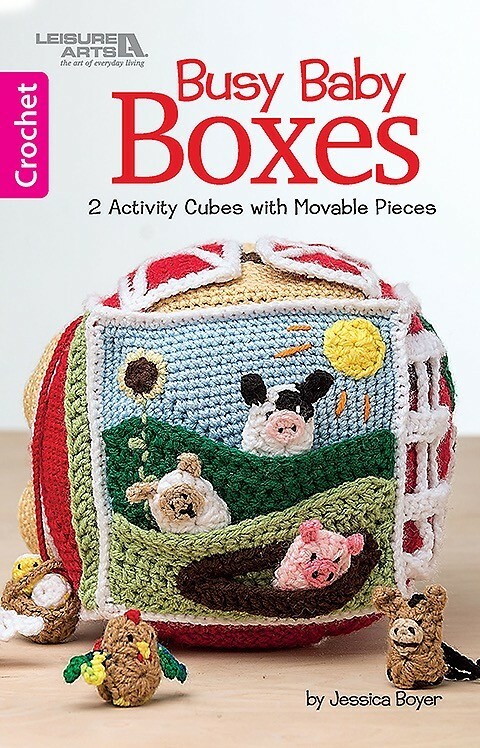 Designed by Jessica Boyer, two crochet cubes each have six scenes and lots of tiny pockets for holding the fun finger puppets. 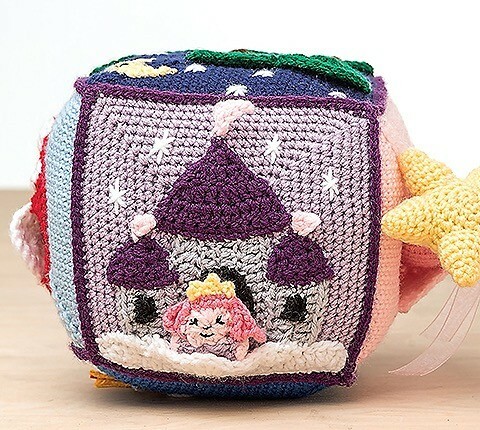 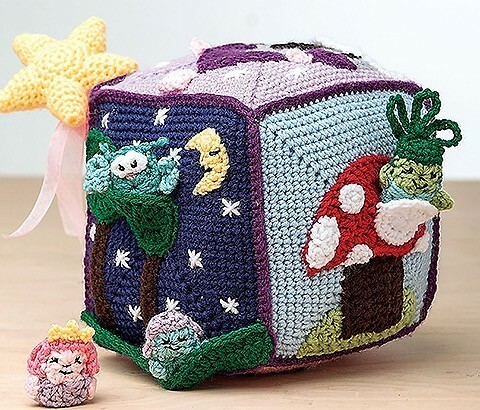 On the Fairy Princess Block, the six sides show a castle, a moonlit forest, a giant mushroom, a unicorn, a pocket holding a star wand rattle, and a mirror frame; finger puppets are a fairy princess, nature fairy, sleepy fairy, and an owl. 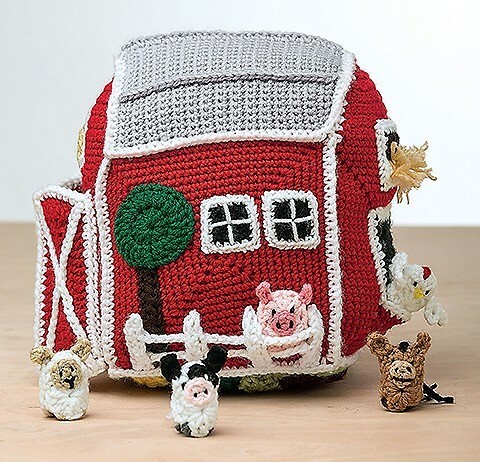 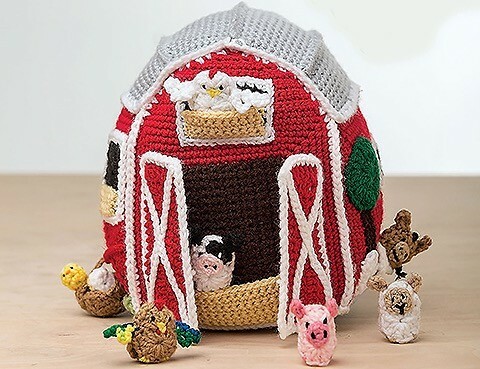 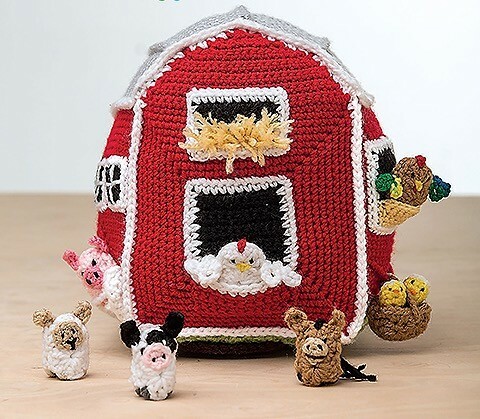 The Farm Block depicts a red barn, with the sides showing doors, windows, lofts, a roof, and a sunny field with a mud puddle; finger puppets are a chicken, rooster, pig, sheep, cow, and horse. 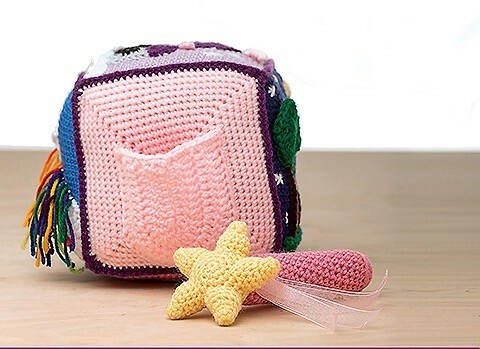 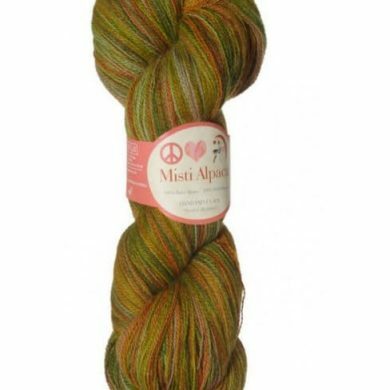 Each cube is approximately 6.5 inches square (16.5 cm) and easy to crochet using medium weight yarn.